Clement (Trip) F. Perschall III was born in New Orleans and attended Isidore Newman High School. In 1999, he graduated from Loyola University School of Law, where he served as an editor of the Loyola Law Review. Mr. Perschall was the recipient of the David L. Herman Award, the Corpus Juris Secundum Award, and several Law Excellence Awards. 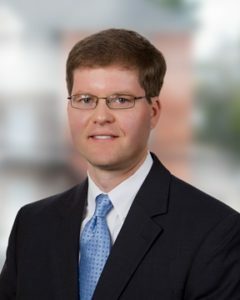 Prior to law school, Mr. Perschall graduated from the University of Georgia with a Bachelor of Business Administration, and received a Master of Business Administration from the University of New Orleans. Mr. Perschall practices in the areas of real estate, commercial transactions and business law.